Costa Rica closed 2018 with a fiscal deficit of 6 percent of its GDP, below the 7.2 percent that had been projected by the Central Bank, President Carlos Alvarado said Monday. The president attributed the reduction to the government’s focus on curtailing expenses, fighting tax evasion and improving efficiency. Costa Rica had closed 2017 with a deficit of 6.2 percent. 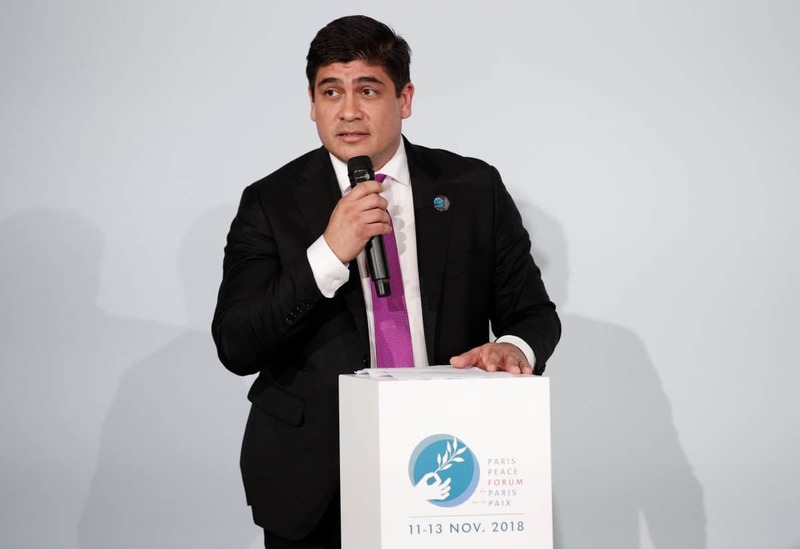 Before traveling to the World Economic Forum in Davos, Switzerland, Alvarado explained that the deficit was reduced without the measures included in the recently passed Law on Strengthening Public Finances, which includes tax increases. The new taxes will be enforced in the second half of 2019. Finance Minister Rocío Aguilar stressed that Alvarado’s government came to power in May in a context of economic difficulties — with growth lower than expected, falling tax revenues and rising interest rates. To combat the situation, Aguilar said, the government applied drastic cost-containment measures and fought tax evasion. To maintain the trend of reducing spending, both the president and the finance minister insisted on the need to restructure the public debt, which fell in the last year from 55.4 percent of GDP to 53.7 percent. They also insisted on the approval of a Eurobonds bill, which would allow the government to issue $6.5 billion in bonds on favorable terms. The government also expects that the Legislative Assembly will approve complementary laws to clean up public finances, including public-employment reform and requiring large cooperatives to pay taxes. Costa Rica’s tenuous fiscal situation has led several agencies to lower the country’s credit rating in recent months despite the approval of the Law on Strengthening Public Finances. This law was passed amid strong pressure from public-sector unions, which organized a months-long strike to try to prevent its approval.